Need a sandwich recipe for lunch? 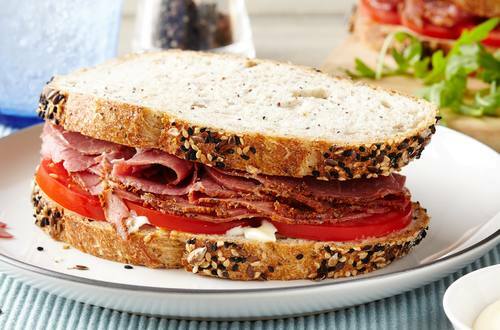 With our mayonnaise and our simple Pastrami Sandwich recipe, lunchtime can become your favorite time of day! 1 Mix Hellmann's® or Best Foods® Real Mayonnaise with mustard. Spread evenly onto 4 bread slices. Top with pastrami and tomato, then remaining bread slices. Serve, if desired, with sliced gherkins. *Variation:  Also great with slices of Swiss cheese!